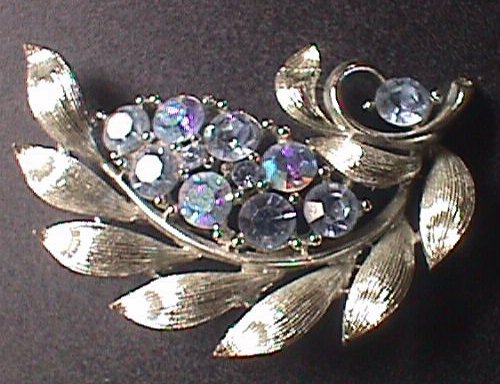 I have vintage jewelry to wear with your vintage clothing or to accessorize today's fashions with that vintage flair. 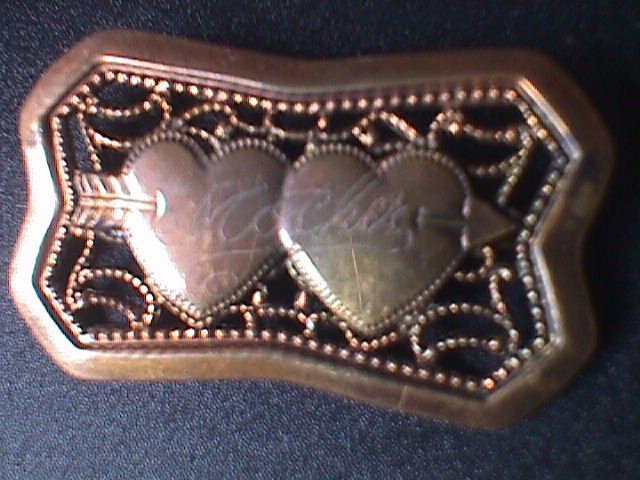 I love vintage pins, necklaces bracelets and earrings. Check back often. 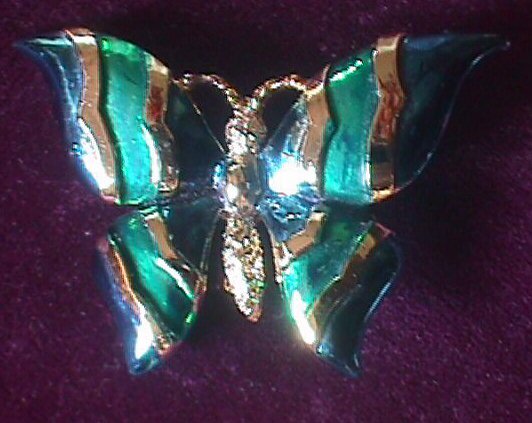 Light blue & violet rhinestones in silver leaf setting - signed Lisner - 2.5"
Blue & green brightly painted butterfly pin - signed - 2"
Gold tone pin with "mother engraved across 2 hearts with arrow - 2"